Speaker of the House Paul Ryan is a swan in the tattered flock of the GOP, a confident, resplendent creature whose outer beauty masks a boiling, aggro core and deep hatred for all things it deems beneath it. It’s been easy to overlook his sins when we’ve got a president who won’t stop screaming, but rest assured: If you aren’t rich, Paul Ryan wants you to die. Ah, but not everybody has forgotten Paul Ryan. Take James Folta and Andrew Lipstein, the writers and comedians behind last year’s brilliant The Neu Jorker satirical magazine. 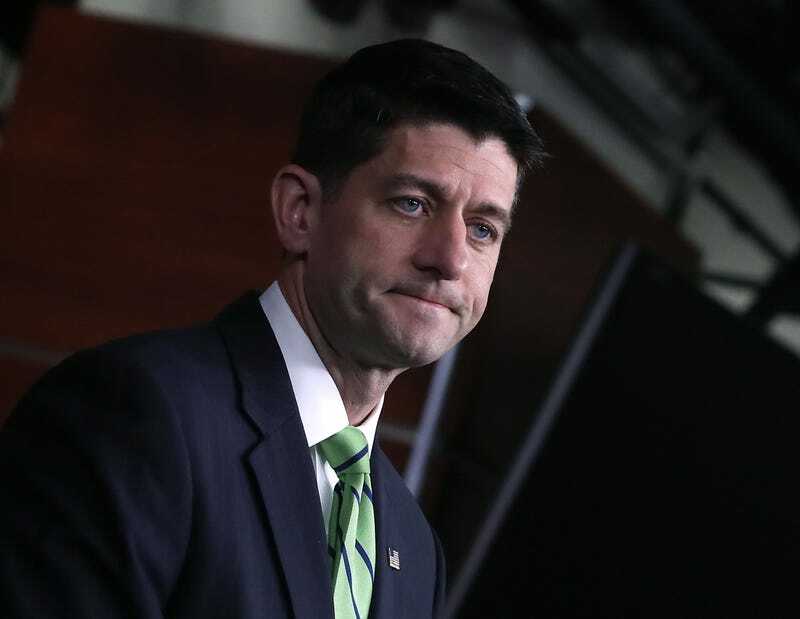 Ryan is at the center of the duo’s latest effort: Paul Ryan, a 192-page satirical publication that not only skewers the Speaker, but magazines in general. Everything from tabloid rags to in-flight magazines and alumi pamphlets are recreated in its pages, as are the likes of Vanity Fair, High Times, TV Guide, and, yes, The New Yorker. But there’s also something for the kids. Who needs Highlights? The illustrations are on point, too. Who knew a man who looks carved from hard plastic could take on so many forms? As with The Neu Jorker, Paul Ryan’s contributors are alums of Saturday Night Live, Letterman, The Paris Review, and Reductress, as well as A.V. Club cohorts The Onion and Clickhole. The magazine’s limited print edition launches on November 2; pre-orders are available here.